So creamy and delicious, you'll never miss regular mashed potatoes again! 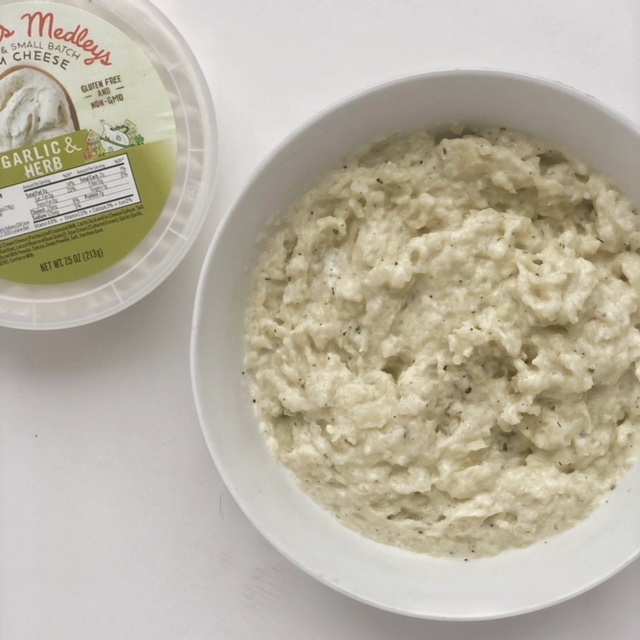 With just 3 ingredients and in under 10 minutes you'll have a low-carb and more wholesome alternative to mashed potatoes. And shhh... an easy way to sneak veggies into your kid's meals! 3) Let some steam escape, then mash with fork or potato masher. * You can steam cauliflower florets in a steamer basket on stove for 12-15 minutes (or until soft), then mash, if you prefer not to use microwave.